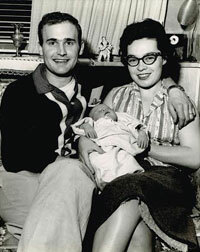 Here I am with my parents, Doyce and Jeanette Michelson, at Plattsburgh Air Force Base, where I was born. My parents read many books to me. 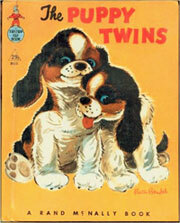 The Puppy Twins was a wonderful rhyming book that I asked them to read over and over (and over!). 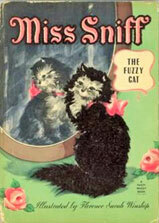 Miss Sniff was one of my favorite books, too. You could even pet her fuzzy coat on some of the pages! These two lovely girls are ready for the first day of first grade! 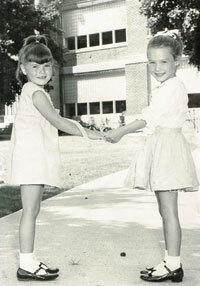 That’s me on the right. 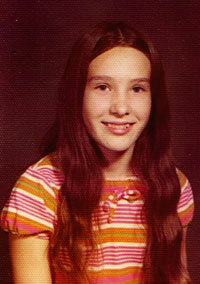 I became interested in writing in sixth grade. I had a great teacher who taught me to write correctly, and always expected my best. She told me I was a talented writer and to keep writing! 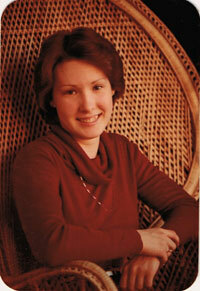 Thank you, Mrs. V. S.
This is my senior picture. In high school I took every literature class I could. 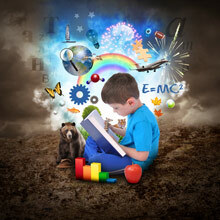 I loved reading! This photo was taken by my Grandma when she came for a visit. I was working hard on one of my college assignments. Don’t I look like a diligent student? 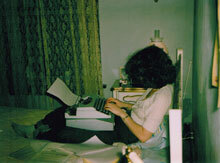 Also note, that’s a TYPEWRITER I’m using. Here I am with my boyfriend, Bill, circa 1979. 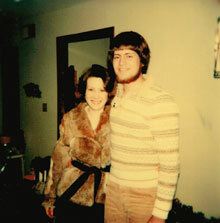 He got rid of the beard, so I married him in 1981. Bill and I have three children. 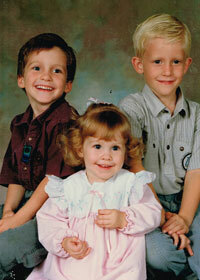 These little cuties are Matt, Joe and Desiree. And here they are all grown up! 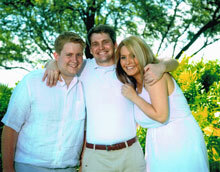 This is our family on vacation in Hawaii in 2013. 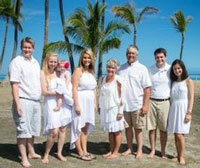 Since this photo was taken we now have six grandchildren and our family is still growing!